Both of Bermudian David Dodwell’s resorts have received recognition on the prestigious Travel + Leisure T+L 500 list, which showcases the top hotels and resorts worldwide. Mr. Dodwell owns the recently renovated Reefs Hotel & Club in Bermuda (pictured) and Nisbet Plantation Beach Club on Nevis. 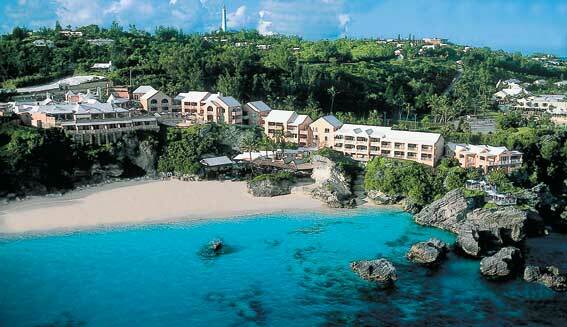 In the 2011 T+L 500, The Reefs Hotel & Club moved up three spots to #15 in the Caribbean and Atlantic region. This marks the eighth time The Reefs has made the list, which is only in its ninth year. The intimate 36-room Nisbet Plantation Beach Club on the quiet Caribbean island of Nevis made its debut on the list a number one in the Caribbean/Atlantic region. Nisbet Plantation also was number six on the list of the World’s Top 25 Hotels. Nisbet Plantation is the only St. Kitts and Nevis hotel on this year’s prestigious list, which showcases the top hotels and resorts around the world. The T+L 500 is based on the 2010 World’s Best Awards readers’ survey results. The 2011 T+L 500 is available online now at, www.travelandleisure.com/tl500, and will be in the January 2011 issue of the magazine on newsstands December 24, 2010. Mr. Dowell and a group of Bermudian and overseas partners are currently planning a multi-million dollar upgrade of the 9 Beaches Resort at Daniel’s Head.